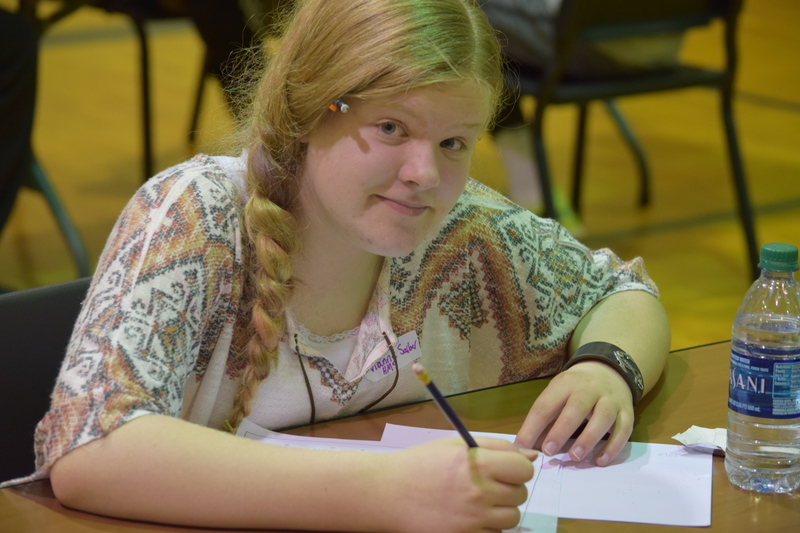 Homer Middle School reports over seventy 6th, 7th, and 8th grade students from all around the school district met in at Homer Middle School gym on Thursday, May 11, 2017, to compete in the KPBSD Middle School Math Meet. 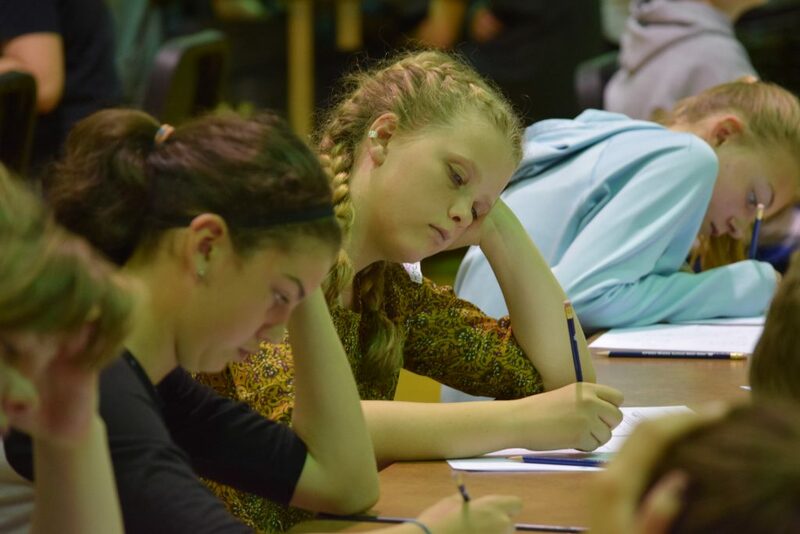 This all day event consisted of four grueling rounds of math competition in which students competed against and collaborated with their peers from around the district. 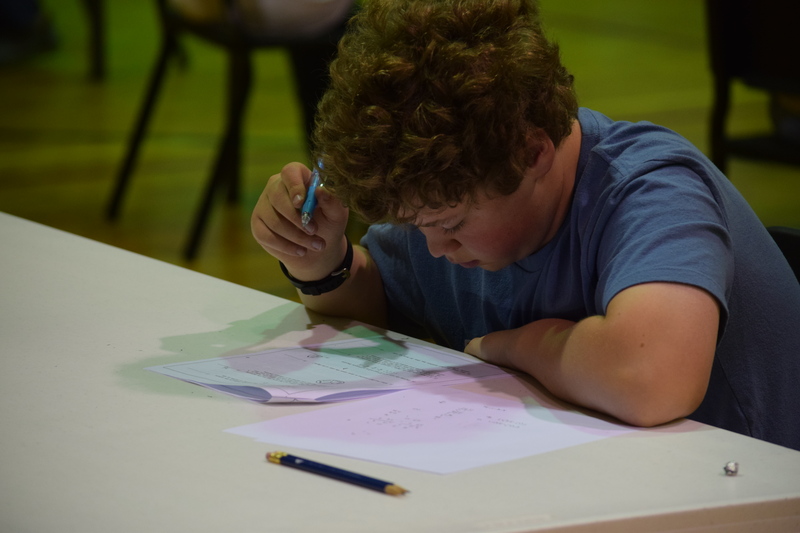 Larry Dunn took third in the sprint round, a 40-minute test of thirty questions students had to tackle without the aid of a calculator. In the target round, a shorter round with longer, more complex questions, Ben Coble also scored a third place finish. 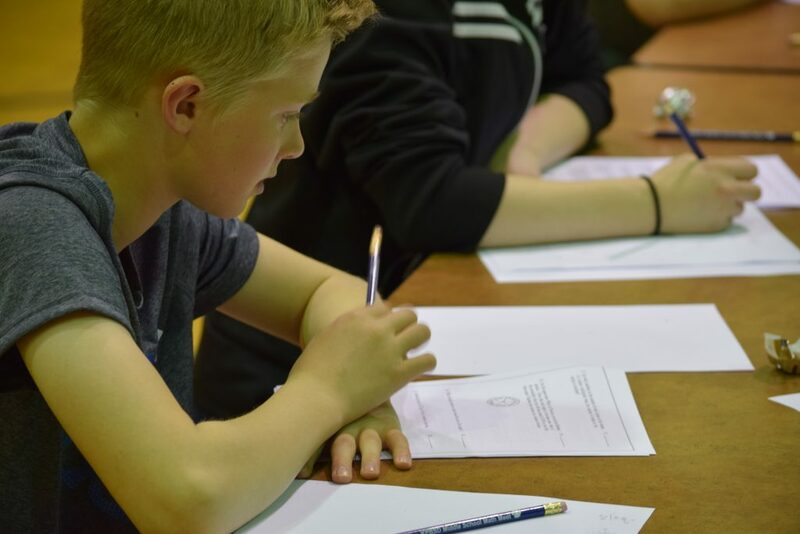 For the team round, competitors are put into groups of four with students from other district schools and asked to work together to solve ten difficult problems. Casey Otis came in first with his team, Hunter Green and West Homer student Garrett Briscoe second, and Kazden Stineff third. 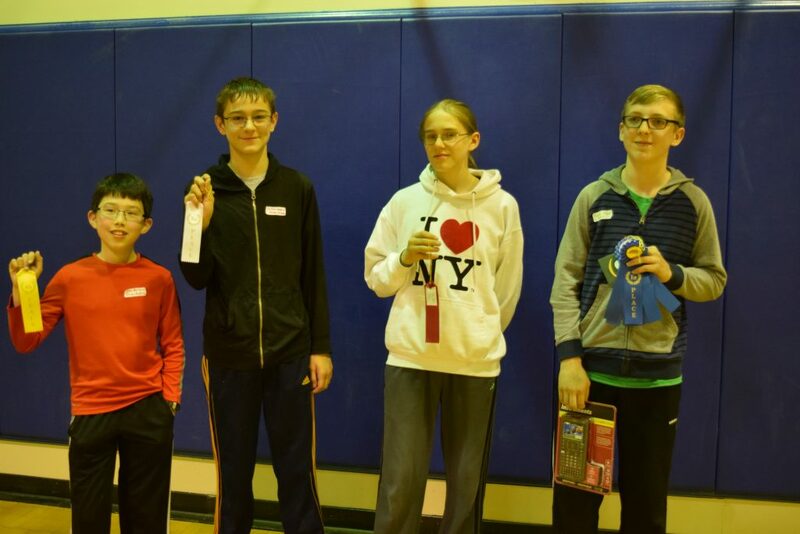 Overall Homer Middle School’s Larry Dunn took second on the combined total, with Ben Coble and Sam Larson also placing in the top ten and going on to compete in the game show style countdown round. The students who represented Homer Middle School this year were Larry Dunn, Ben Coble, Sam Larson, Katlyn Vogl, Emmet Wilkinson, Vianne Sarber, Casey Otis, Olivia Glasman, Keith Roderick, Kazden Stineff, Delilah Harris, Peyton Tobin, Hunter Green, Ryan Carroll, Izzy Fisk, and Elijah Blake. 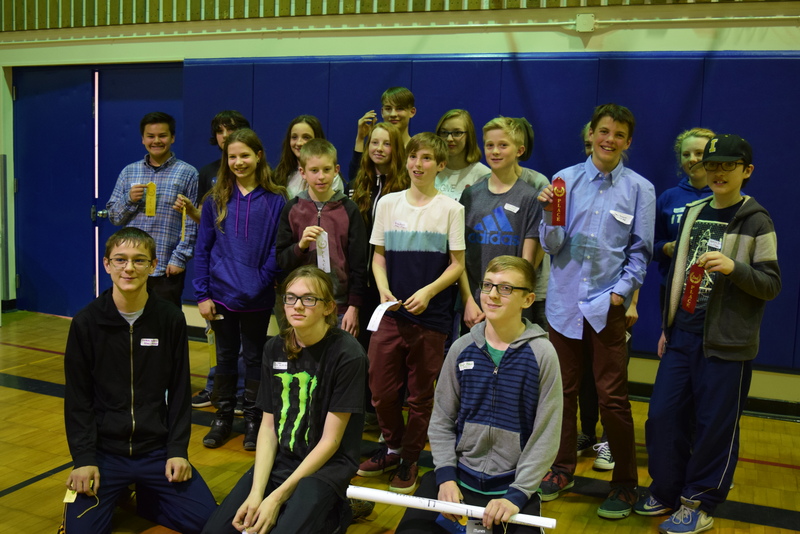 Homer Middle School would like to thank all of the volunteers who helped make the math meet possible as well as the sponsors: Two Sisters, Latitude 59, SpitwSpots, K Bay Coffee, Alice’s, Representative Seaton, and the Strydom family. Thank you to Rand Seaton for contributing this story. This entry was posted on May 15, 2017 at 5:59 pm. You can follow any responses to this entry through the RSS 2.0 feed. You can skip to the end and leave a response. Pinging is currently not allowed.